There are 1327 KishoriSamoohas having membership around 12,000 Adolescent Girls between 11-18 years of age in Tangi – Choudwar, MAhanga, Nischintakoili, Salipur&Narasinghpur of Cuttack District. With the objective to improve the Knowledge &Awareness on Reproductive Health, Personal Hygiene Cleanliness. Nutritional and Health Status Of Adolescent Girls USS is working with 750 Adolescent Girls to Empower them by proving Education in Life Skills, RCH General Health, Menstrual Hygiene, Personal Cleanliness, Sanitation Health and Nutrition. The focus of the Scheme is primiarily on out of School Girls. Nutrition and Health Education – This provision includes healthy traditional practices and dispelling harmful myths, promote healthy cooking, good eating habits, take up balanced diet and locally available nutritious food, sensitising about nutrient deficiency disorders, prevention, nutritional requirements during pregnancy and lactation, etc., use of safe drinking water and sanitation, educating on personal hygiene, onset of puberty and related changes, informing about common ailments, home remedies, First Aid, personal hygiene, exercise,educating on avoiding drugs and alcohol abuse, stress management, etc. Life Skills Education – Its ultimate aim is to enable AGs in self development. Broad topics covered in the training for development of life skills include confidence building, self awareness and self esteem, decision making, critical thinking, communication skills, rights & entitlement, coping with stress and responding to peer pressure, functional literacy, etc. Accessing Public Services – The adolescent girls are informed and guided them about accessing existing public services, such as PHC, CHC, Post Office, Bank, Police Station, etc The govt is directly providing Supplementary nutrition, IFA Supplementation, general health check up at least once in three months on a special day called the Kishori Diwas. 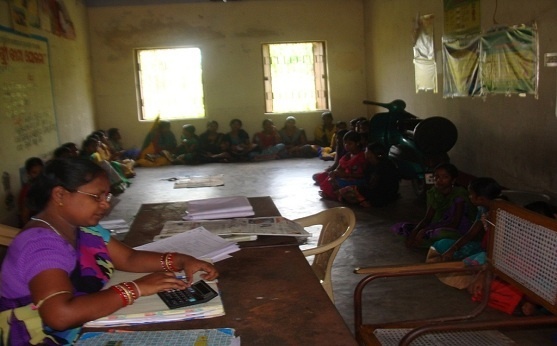 The Adolescent girls are provided counselling and guidance to access those services. Besides they are facilitated to get vocational training through National Skill Development Programme, mainstreaming into formal/non formal‐education. Enable self Devlopment and Empowerment of Adolescent Girls. Improve Nutrition and Health status. 1200 Adolescent Girls received Reproductive Health Personal Hygiene Sanitation Nutrition, Life Skill Education and Vocational Training. 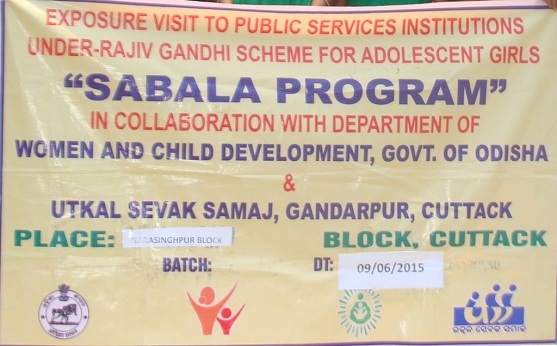 Mahanga, Tangi- Choudwar, Salipur, Nischintakoili&Narasinghpur Block of Cuttack District. 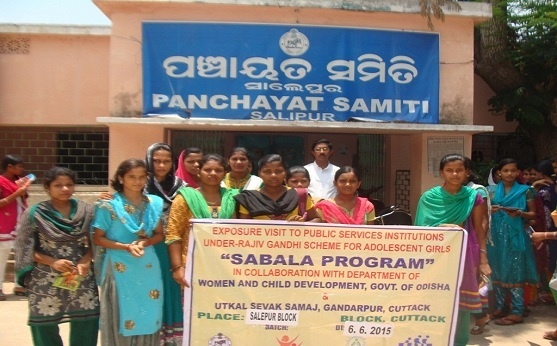 1200 Adolescent Girls of Mahanga, Tangi- Choudwar, Salipur, Nischintakoili&Narasinghpur Block pf Cuttack District.